The terrorist attack against a busload of Israeli tourists in Burgas, Bulgaria, poses a number of questions, and necessarily shakes up the security establishment. Although the attack in Burgas is still being investigated, the details published to date indicate that it was perpetrated by a terrorist with a Western appearance. International media have cited this fact as a way to cast doubt on the responsibility of Hezbollah and Iran for the attack, and as a way of suggesting that the attack may have been carried out by affiliates of al-Qaida or by local radicals. In fact, the use of terrorists with a Western mien or citizenship is not foreign to Hezbollah. 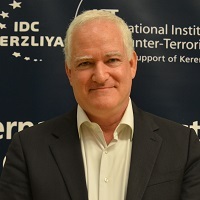 Among the many examples of this, it is enough to recall Steven Smirk, a German convert to Islam recruited by Hezbollah who was arrested in 1997 in Israel, where he had come with the intention of perpetrating terrorist attacks; or Hussein Mikdad, a Lebanese citizen who came to Israel in 1996 on a British passport, and who ultimately was seriously wounded by a “work accident” explosion in his room at the Lawrence Hotel in Jerusalem. Another question for which there is as yet no definitive answer is whether or not the attack in Burgas was a suicide attack. Did the terrorist blow himself up in or near the bus? Or did he place a backpack laden with explosives in the baggage compartment of the bus? On one hand, the suspicious behavior of the terrorist shown in the airport’s security video appears to be that of a suicide attacker. In addition, the body of the man suspected to have been the terrorist – or what remains of it – was apparently found at the scene of the attack. However, suicide attackers don’t usually carry identification; yet the Burgas terrorist was carrying a fake US driver’s license bearing his photograph. Moreover, he was wearing a wig – something very unusual, which may indicate that he wished to disguise his identity to evade being caught after escaping the scene of the attack. These contradictions might make sense if the terrorist was himself deceived – that is, if he knew he was carrying a bomb, but did not know he was meant to blow himself up during the attack, such that when he placed the backpack in the bus’s baggage hold and released the safety catch, he was unwittingly sealing his own fate. Or perhaps someone else detonated the explosives remotely, before the terrorist managed to flee the scene. This version of events seems even more probable in light of the information that, prior to the attack, the terrorist toured the airport grounds in a taxi. Such behavior is not characteristic of a suicide attacker, who arrives on the scene in full command of the knowledge and tools necessary to the attack, culled from prior intelligence, and honed through training. A late-stage reconnaissance tour like the one made by the Burgas terrorist may be understood as an attempt to devise an escape route after the attack, thereby suggesting that the terrorist had no idea he was striding toward his own death. The explosives themselves also raise questions. As the airport security video clearly illustrates, the terrorist was carrying a particularly large backpack, one striking enough to have aroused suspicion. However, published reports indicate that the giant backpack contained a mere 3 kg. of explosives – a bomb that could easily have been hidden in a small messenger bag. Often, such bombs have been swathed in layers of metal (nails, screws, ball-bearings), which are meant to increase the shrapnel spewed in the attack and cause as much harm as possible. However, even if that had been the case here, the backpack’s proportions would not square with the quantity of explosives. The last questions to be addressed are these: Could this attack have been prevented? And what can we learn from it for preventing future attacks? To prevent this type of terrorist attack, two things are needed: intelligence, and security. Intelligence provides the information necessary to identify terrorists before they attack, and thereby to forestall an attack, or at least focus security on specific targets, plots, and/or times. The number of potential targets is nearly unlimited. A country must protect its citizens everywhere and at all times, but a terrorist need only identify a single security breach – and exploit it. To this end, terrorists are constantly collecting information, and adjusting their plans accordingly. Thus, any sliver of relevant intelligence can help focus security efforts. Israeli security forces can be proud of their multiple achievements – some of which have been made public – in thwarting many terrorist attacks planned by Hezbollah and Iran, even in the past year. For example, they recently averted a terrorist attack in Cyprus, where a Hezbollah operative was arrested just before he was meant to be carrying out an attack similar, if not identical, to that perpetrated in Bulgaria. It appears that Israeli (and Bulgarian) security forces had no foreknowledge of the attack in Burgas. This in and of itself does not mean there was an intelligence failure. The investigation that will certainly continue in the coming weeks will, in part, answer the question of whether signs were missed that would have indicated a planned attack. Providing security for Israeli tourists in Burgas is extremely complex. Israel’s stated policy is that responsibility for the safety of Israeli (and other) tourists rests on the shoulders of the host country. Justified though it may be, this policy is also very convenient for Israeli security agencies and decision makers. However, how does it square with a statement made this week by Prime Minister Binyamin Netanyahu that “the State of Israel is a guarantor for its citizens, whoever they are and wherever they may be”? Does this mean that the State of Israel must be responsible for the security of its citizens when they are tourists abroad? Clearly, the State of Israel cannot and should not provide security for even some of its nationals when they are overseas. The security needs of Israeli tourists are met by travel advisories and by the general and specific behavior guidelines published by counter-terrorism coordinator office and the Foreign Ministry. However, the attack in Burgas would appear to require us to think again about Israel’s commitment to guarding the security of Israeli tourists. A very small number of sites are renowned for being popular Israeli tourist destinations. The large concentration of Israelis at these sites, whether as individuals or in groups, naturally attracts Israel’s enemies. The security arrangements at these sites therefore need to be different than they are elsewhere. But here, too, Israel cannot and should not be responsible for the security of Israeli tourists. 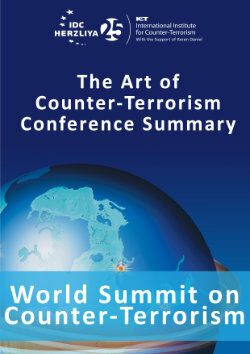 Israel is, however, obligated to conduct occasional spot-checks and surveys of the risks and threats to its citizens – even without prior intelligence – and to inform its citizens of any severe gaps in security, even as it demands that these be redressed by local security forces and/or by the tourist agencies and charter companies that organize group tours. Alternatively, and as a means of pressuring these agencies, Israel’s security authorities should warn the public not to use the services of a given agency, for security reasons. This is the principle security lesson derived from the attack in Burgas. It adds no significant costs, and does not replace the obligation of the host state to guard the safety of all of the tourists within its borders.